When I was going through my first major flare and found support on social media, it was incredible. There were so many supportive, understanding and encouraging people checking in on me, sharing their experiences and relating to what I was going through. I gained so much strength from some amazing people and their ability to care about strangers in the same predicament they were in or had been before. I loved opening my twitter app and checking the ibdfamily hashtag, and looking for others who had my same diagnosis under ulcerative colitis or autoimmune disease on instagram. I have formed some great relationships with some of those people and they are all very dear to me. That may be why I get so upset about seeing a change in the ibd community out here in the social media sphere. Every single person I know with IBD has a different treatment plan. Every single person. Some might be on the same medication but one doesn’t eat gluten. Some may use stress relief practices to prevent flares along with biologics to keep inflammation at bay. Some might be on steroids and following an SCD diet. And the list goes on. So, why am I seeing so many attacks on people for their choice of treatment? A treatment should be between that individual and their medical professional. Who am I to judge their choices? 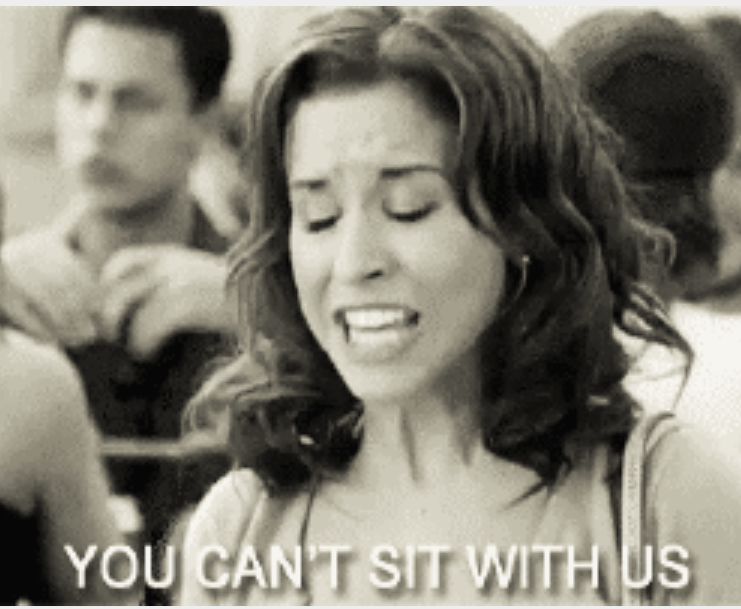 What I am referring to, however, is the “you can’t sit with us,” vibe going on when someone shares their story. Oh, you’re using a combination of meds and diet to treat your disease? Well, this is firmly a diet treatment only ibd community. Find another table to eat lunch at. You’re not taking any medication? How dare you. Take down your post about having Crohn’s disease and go be alone. Who are we helping when we exclude others from the community because they follow a different line of treatment? This disease is lonely enough as it is, and there’s so much good and bad information out there, attacking others does not help anything. It makes people scared to talk about what’s going on. It takes us steps back instead of forward. I’m not saying everyone is like this. I have some great ibd family members who support and encourage and make me and others laugh and smile and they’re great. This has just been weighing on my mind a lot the more this community grows and I’d hate to see it turn into a negative attacking environment after it was such a haven for me when I found it 2 years ago. I like to hope that it won’t become that way and that we can put these treatment differences aside and fight this disease together. We’re all fighting against the same enemy, doesn’t help anyone to turn against each other in a right or wrong battle on the Internet Ibd community when it comes to sharing experiences. There’s no reason to become mean and attacking for one persons choice of treatment when they are just sharing their story. And there’s no reason to push a form of treatment on someone just because they say they have a certain ailment. This used to be a place of support and connection in the lonely world of invisible illness, and my hope this week is that it can stay that way for others who are desperately searching for someone who understands what they are going through, like I was when I first came here. Please be kind, remember everyone is fighting a battle of some sort.